Hansgrohe is a saga of a transformation of tin showers to a state of the art showering solution designed to meet all demanding essentials of the modern architecture. Hans Grohe, a visionary began with his journey to provide immensely attractive showering solutions with his first product tin shower. The ravishing tradition of over a hundred years continues to deliver sparkling showering solutions with innovation. The Hansgrohe product line has sensual designer appeal and each of its products comes with unrivaled performance to meet every essential. Unleashing the potential of an energizing bath is so exciting when Hansgrohe is in your bathroom. There are various types of baths. Some take it quickly due to constrained bathroom gears or for some a bath is rejuvenation. The difference lies due to the integration of Hansgrohe in a bathroom. The lousy feel of spending relaxing moments in a bathtub is precious and it is a complete feeling of reenergizing to handle hectic schedules and stress. Hansgrohe offers a premium avenue to add the luxury to your life making it subtly complete. The featured product line of Urquiola Bath Tub has a potential to change all the conventional values making them larger than the real life. Allow us to introduce you to the mega-avenue for abundant pleasure and relaxation. Axor 11440000 Urquiola Bath Tub is a space where style meets the substance. The bathtub is a gateway to personal space you have always longed for. Hansgrohe offers the tub with the bliss of the talent of designer Patricia Urquiola and makes it a gorgeous beauty. The stunningly attractive designing of the tub makes it a majestic addition making your bathroom the best in the entire world. The feature-rich tub has a pristine appeal and it provides a tranquil soaking effect with its sumptuous space. Each feature of the luxurious deep soaking well is carefully crafted to deliver the precise relaxation and rejuvenation you deserve after a long hectic day. Hansgrohe presents the freestanding tub with a superb mineral cast with gelcoat architecture for exceptional durability you always look for. The tub is CE and TÜV certified and that itself guarantees its performance. 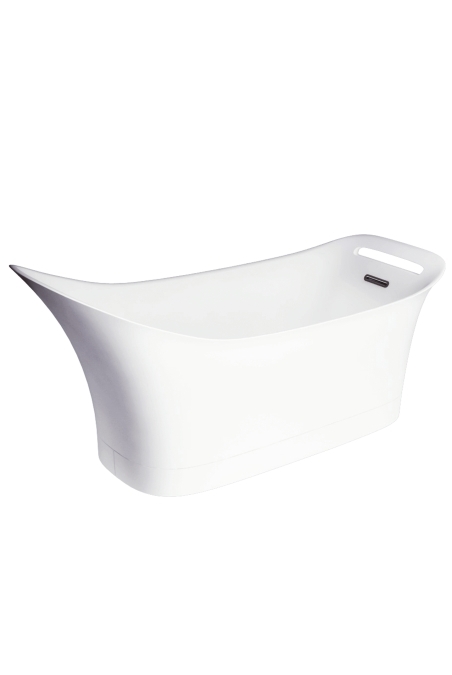 The bathtub offers a large soaking area with its 1820mm x 870mm x 625mm overall size. The tub comes with innovatively integrated towel holder, built-in drain, and overflow to take the user experience to a next layer of the perfection. Hansgrohe products are designed to add majestic lifestyle accents your life. The intimacy of the integration with sophisticated design and a perpetual impression of its designer appeal makes the Urquiola Bath Tub a precious value addition to your bathroom.